We are a PBIS Gold Model School! 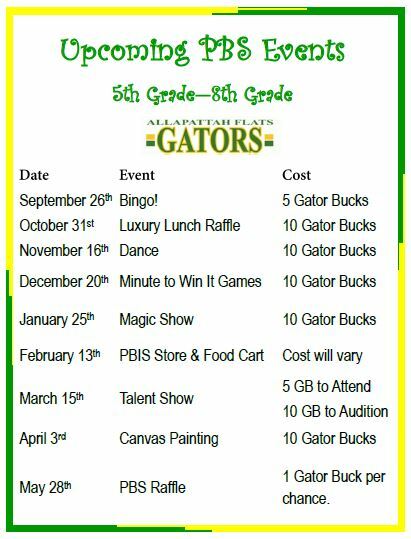 Allapattah takes pride in teaching students positive behavior expectations. 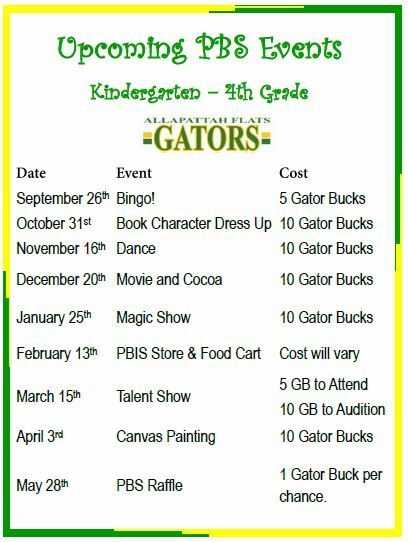 Students earn Gator Bucks whenever they are spotted meeting school wide rules for being Safe, Responsible and Respectful. 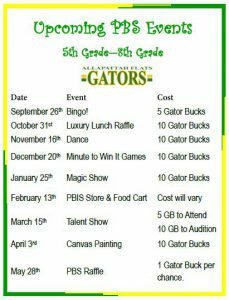 Students may use their bucks to attend events or purchase privileges and rewards in class every week. 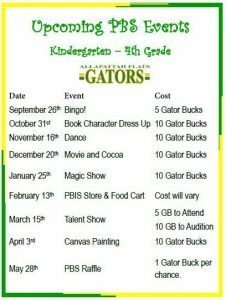 Check out our PBIS events throughout the year on the Calendar tab.